Yep, it’s happening. For the first time in our eight years of covering the UTMB festival of races, iRunFar will attempt to cover two of them, both UTMB and the CCC. In addition to the always competitive UTMB, this year’s CCC is internationally competitive, too. The CCC is a 101-kilometer (62.8-mile) route beginning in Courmayeur, Italy and traveling counterclockwise around Mont Blanc to Switzerland and, then, France before arriving to its Chamonix, France finish line. It’s got a ‘sporty’ 6,100 meters (about 20,000 feet) of climb. The current, 101k version of the course has been run for the last four years. Course records are 11:21:16 by Pau Bartoló in 2014 for the men and 12:54:53 by Ruth Croft in 2015 for the women. We’ll be covering CCC live starting at 9 a.m. CEST (1 a.m. MDT in the U.S.) on Friday, September 1. Make sure to read our UTMB men’s and women’s previews, too. P.S. : We’re covering the CCC without any sponsorship–because we think it’s too competitive not to! If you love what we do, consider supporting us. Thank you! I give it a high probability that the women’s CCC 2017 winner to come from the first three names in this Headliners section. Let’s begin with France’s Nathalie Mauclair (pre-race interview) who has to be the out-front women’s favorite. Nathalie comes into this race with previous victories in both the UTMB (2015) and the TDS (2013). She’s also been third at the 2014 UTMB, too, sandwiched in between those wins. Add to that two wins at the IAU Trail World Championships in 2013 and 2015 as well as two Diagonale des Fous victories in 2013 and 2014 and we’re talking about quite a runner here. This year has seen her run to second at the Marathon des Sables, fifth at the IAU Trail World Champs, and third at the Hardrock 100. She’s got to be hungry for a third win at the UTMB festival of races. Let’s move on to an entirely different kind of runner, Basque Country’s Maite Maiora. The woman shines best at–or at least has seemingly focused upon–shorter-distance mountain running and skyrunning, races typically up to about 60 kilometers in length. She’s ranged longer with success, too, including a third place at the 2015 IAU Trail World Champs, which were a bit over 80k long, and a win at the 2016 UCAM Falcotrail HG 100k, a smaller race in Spain. This year, Maite has been lighting it up in skyrunning with wins at the Zegama Marathon, the Livigno SkyMarathon, the Royal Ultra SkyMarathon Gran Paradiso, and the Tromsø Skyrace. Maite’s an aggressive racer, so I expect her to go off the front and, given what she’s been doing this year, perhaps stick it. We have confirmed that Azara García is not racing CCC this year. [Updated August 30] Spain’s Azara García runs a little hot and cold, but when the woman is on, she’s on. This year, we watched her annihilate the field in winning Transgrancanaria in March, but then DNF the IAU Trail World Champs in June after not looking so hot early on. In addition to some great national performances in her home country, she also won the always internationally competitive 2015 Zegama Marathon and took second at the 2016 IAU Trail World Champs. She should contend for the win. The way I see it, there’s also a passel of American women who could do some serious damage to the front of the CCC women’s race. I give the nod to Clare Gallagher (pre-race interview) as the woman who I think has the highest upside potential among them. Clare showed the world just what sort of potential she’s got in her when she ran 19 hours flat at the 2016 Leadville 100 Mile, basically in time-trial style with no competition nearby. Yeah, that was the second-fastest ever women’s run at Leadville. Yeah, since the race started in 1983. Since last August, she’s not performed at the same level and she’s also suffered some injury issues. For example, an injury took her out very late in the 2017 Western States 100. If she’s healthy, trained, and tapered, watch out. That all said about Clare, it’s Cassie Scallon who has the most robust resume among these American women. She’s once won (2013) and another time taken second (2015) at the Lake Sonoma 50 Mile. In 2014, she took fourth at Les Templiers. In 2016, she was third at Ultravasan. 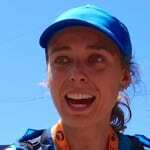 And earlier this year, she was eighth at the Transvulcania Ultramarathon. In late July and early August, Cassie was in the Alps and training on the Mont Blanc circuit, so she knows exactly what she’s getting herself into. 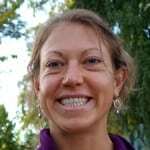 The USA’s Keely Henninger came onto our radar back in 2015 when she won the White River 50 Mile and, then, followed that up with a seventh place at the competitive The North Face Endurance Challenge 50 Mile Championships (TNF 50). In 2016, she took third place at the Gorge Waterfalls 100k and had another top-10 TNF 50 finish, this time eighth. So far this year, she took second at the Way Too Cool 50k and, some 10 days ago, she and teammate Amanda Basham won the TransRockies Run six-day women’s team competition, which involved 120 miles and 20,000-plus feet of climbing. As I said in my UTMB women’s preview, I’m a bit skeptical as to whether it’s possible to recover from 120 miles of focused running that ends less than two weeks before the start of a race like UTMB or CCC. We shall see! Kelly Wolf, our last-but-not-least fast lady of the USA, entered onto the American trail ultrarunning scene last year and immediately made a dent in it by, among other things, taking third at the Black Canyon 100k and second at the Speedgoat 50k. This year, she’s been rocking it again, and she’s got a win at the Broken Arrow Skyrace and another second at Speedgoat. The Euro crowd may underestimate Kelly if they don’t know her name, but I suspect that all could change the minute this race starts. 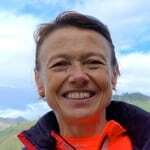 I wish I knew more about this woman, as she has consistent exploits at the UTMB festival of races over the years. Let’s take a look at Frenchwoman Delphine Avenier’s resume: second at the 2010 CCC, 13th at the 2012 UTMB, third at the 2013 TDS, and winner of the 2016 TDS. It will be interesting to see how the chips fall for her in this deep competition. Spain’s Eva Moreda had a helluva run to take second at the 2016 BUFF Epic Trail, which was the Skyrunning World Championships in the Ultra category, in doing so beating the likes of women like Jasmin Paris, Fernanda Maciel, and Gemma Arenas. She proved this wasn’t a fluke in taking seventh in the stacked 2017 Transvulcania. She seems strong! Laia Canes, also of Spain, will be another fascinating woman to watch. In the last two years, she’s represented her home country at the IAU Trail World Champs, massively improving from 19th in 2016 to seventh earlier this year. She’s also finished CCC once before, taking third in 2015. 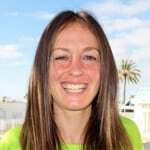 Spain strongwoman Anna Comet has had several years of trail-ultra success, but as far as I can remember, this is her first time racing at the UTMB festival. In 2015, she took second at Transvulcania, in 2016 she was third at Ultra Pirineu, and so far this year she’s been second at The Coastal Challenge and 14th at the IAU Trail World Champs. Kristin Berglund is Swedish and lives in Austria. She has been running ultras for several years, but her best runs have come in the last 18 months or so. In 2016, she won the Zugspitz Ultratrail and earlier this year she was fourth at Transgrancanaria. I think this roughly coincides with her becoming a physiotherapist to the Salomon international team, which means that in addition to working on the squad’s top runners, she trains with and learns from them. The U.K.’s Holly Rush has had about four years of strong ultra results… and is still going. In 2013, she ran to seventh place at the Comrades Marathon. The next year she had a dominant win of Ultravasan. She’s twice been seventh at Les Templiers, in 2014 and 2016. Last year, she was eighth at CCC, but I’m guessing that her potential in this race is significantly better than that. The reigning UTMB champion, France’s Ludovic Pommeret, put on what was one of the best shows in trail ultrarunning last year in his come-from-waaaay-behind win. Because it’s just too good to not review: he helped lead UTMB early, lapsed to 50th place around the 50k mark with stomach problems, slowly made his way back toward the front of the race, took over the lead in the race’s final 30 kilometers, and ran to a 26-minute win. Try to top that entertainment value! This win was definitely his best performance, but not unprecedented given his long and successful history in the sport, which has included a second place at the 2014 Diagonale des Fous and a fifth place at the 2015 IAU Trail World Championships. Also this year, he’s taken second at Transvulcania and fifth at the IAU Trail World Champs. He could win CCC. But if Ludovic is gonna’ win, it’s not going to be without a fight from at least several different men. I give the USA’s Hayden Hawks (pre-race interview) the best shot at outracing Ludovic for the win. Hayden emerged on the American trail scene when he gave Zach Miller the race of his life at the 2016 TNF 50 and ultimately took second. After that, he proved he was no joke as he went to win the 2017 Moab Red Hot 55k in a nine-minute course record and took a super close second at the 2017 Chuckanut 50k to Max King when they were both under the old course record. Then, like is wont to happen in our sport, Hayden cooked himself and finished both the 2017 Transvulcania and the 2017 IAU Trail World Champs way off par. Since June, he pulled the plug on his other racing to recover, and hopefully he has. Does anyone have word on how Hayden is doing? If he’s back to his self, there’s no reason to think he can’t win. It’s been a huge pleasure to watch the career South African Ryan Sandes has had in trail ultrarunning–and there’s no sign of its end, either. Some of his big performances over the years have been his win of the 2011 Leadville 100; a win of the 2012 Ultra-Trail Australia; his second, fifth, and win of the 2012, 2014, and 2017 Western States; his 2014 Transgrancanaria win; his fourth place at the 2016 Diagonale des Fous; and more. That said, success on the UTMB scene has largely eluded him. Ryan has tried a couple times and not made it to the UTMB finish line, so maybe giving another of the UTMB festival of races a shot could break the curse? France’s Erik Clavery has almost a decade of strong national and international performances. Some of his best over the years have included a win of the 2011 IAU Trail World Champs, taking fourth at the 2012 Diagonale des Fous, sixth at the 2015 UTMB, and fifth at the 2016 Marathon des Sables. A few months ago, we watched him suffer a rough day in finishing 15th at Western States. 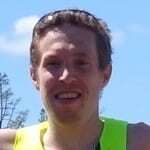 Wait, stop the press, the U.K.’s Tom Owens is racing a 100k? As far as I can tell, the farthest he’s previously raced is 82k at the 2015 IAU Trail World Champs. He took fourth there, though, pretty darn good. I’m generally accustomed to him racing shorter mountain ultras, such as his sixth place at the 2014 Transvulcania and his fourth and fifth at the 2014 and 2016 Trofeo Kima, respectively. Earlier this year, he won The Coastal Challenge. 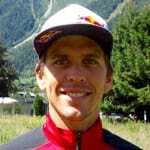 I think this is American Ryan Bak’s first time taking his trail-ultra racing abroad (aside from the hair-over-a-marathon Matterhorn Ultraks in 2014)? 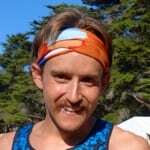 He’s had some stellar results in the last few years on his home soil, including second place at the 2015 Lake Sonoma and third at that same year’s TNF 50. Last year, he won the Chuckanut 50k and this year, so far, he took fourth at the stacked Way Too Cool 50k. Spain’s Juan Jimenez Llorens brings all kinds of UTMB-festival-of-races street cred to the CCC starting line. 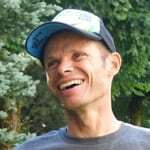 A look at his history in the vicinity of Mont Blanc yields: fourth place at the 2013 TDS, eighth place at the 2014 TDS, 14th place at the 2015 UTMB, and 10th at UTMB last year. These performances are far superior to his other racing credentials. For example, he was 18th at the 2017 Transvulcania. You gotta’ respect his chances at CCC. The USA’s Jorge Maravilla is one of those jack-of-all-trades runners, who seems to run well at lots of different distances and on variable surfaces. In terms of his trail-ultra prowess, we’ve watched him take fourth twice (2015 and 2016) and seventh twice (2013 and 2014) at the always competitive TNF 50. The dude’s got legs with a recent 2:21 marathon PR (2016), and he won the San Francisco Marathon in 2:28 earlier this summer. 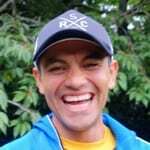 Jorge has previously taken his racing abroad with decent success, I think his best international performance being a second place at the 2015 Tarawera Ultramarathon. He did recently have a walk-it-in finish of the 2017 Lavaredo Ultra Trail with an ankle injury, but I think he’s all healed up. China’s Yan Longfei has raced well around Asia in the last couple of years, including a win and second place at the 2015 and 2016 Hong Kong 100k, respectively. His best result from leaving his home continent so far has been a fourth at the 2016 Ultra-Trail Australia. I am certainly interested to see how Yan stacks up amongst this competition. It’s hard to know what to make of Sahara Desert icon Rachid El Morabity’s capacity in mountain running. To be fair, the five-time Marathon des Sables champion (2014 and 2015 interviews) does plenty of training in his home-country’s mountain range, Morocco’s Atlas Mountains, and he took second at the 2016 OCC, but was a bit distant to winner Xavier Thévenard. Aurélien Collet, of France, has been racing ultras for about five years, and has a number of strong performances to his name. These include a third place at the 2013 CCC, third place again at the 2014 Diagonale des Fous, seventh place at the 2016 IAU Trail World Champs, and third place again at the 2017 Ultra-Trail Australia. Iceland’s Thorbergur Jonsson popped up onto my radar when he hopped into a top-10 spot at the 2015 IAU Trail World Champs in taking ninth. Since then, he’s finished CCC twice, improving upon his 15th place in 2015 with a ninth place last year. Where do we start with New Zealand’s Vajin Armstrong? He’s now raced down under as well as around the rest of the world for about seven years. We first got to know him by his successes at the earliest editions of Tarawera. I believe the guy is a three-time winner and a five-time finisher of the revered Kepler Challenge in New Zealand. Over the years, Vajin has raced abroad a lot, and his best performances have included three podium finishes at the Swiss Alpine Marathon (second in 2013, third in 2015, and a win last year), and another pair of podium placings at the White River 50 Mile (second in 2012 and third in 2014). Here’s a man of consistency, at least at Transvulcania. Marcin Świerc, of Poland, has three finishes there, respectively 14th, 15th, and 14th at the 2014, 2015, and 2016 editions. Aside from on the Canary Islands, Marcin has proven himself a strong competitor especially at mountain races, such at his fourth at the 2015 Mont-Blanc 80k and his second at the 2016 High Trail Vanoise. Italy’s Giuliano Cavallo has improved in his two finishes of CCC, from seventh in 2015 to third last year. In addition to this, Giuliano has about six years of high-level trail ultrarunning. As examples, back in 2011, he scored a top-10 finish at the IAU Trail World Champs with a ninth place. And in 2012, he was ninth at Transvulcania, which was that first year the International Skyrunning Federation brought in a passel of speedy out-of-country runners. His best race so far in 2017 is an eighth place at the Mont-Blanc 80k. Paddy O’Leary is Irish but lives in the USA. He has been consistently strong the last couple years in competitive northern California ultras, around where he lives. At the last two TNF 50s, Paddy has finished 13th and ninth. And, at the last two Way Too Cool 50ks, he’s run to fourth and sixth place. Paddy was a bit less successful earlier this year when he took 24th at the the 2017 Transvulcania, but I suspect he’s got more in him for international competition. A strong Australasia performer, as evidenced by his fifth place in 2014 and second place last year at the Ultra-Trail Australia, Australia’s Ben Duffus has managed to take his racing successfully to Europe before. In 2013, he was third at the Mont-Blanc 80k. Who is going to take the CCC women’s race? And who do you call in the men’s? How do you see the women’s and men’s races strategically playing out? Is there anyone on these lists who isn’t racing? Let us know and we’ll update the preview. Is there anyone we’ve included who seems especially primed for a strong run? Leave a comment to let us know why you think so! Francesca won pretty much every race she raced this year (1st Ultrabericus, 1st Due Rocche, 2nd Cortina Trail and a lot of smaller ones). I wouldn’t be surprised to see her take a top-10 spot. Go get em Streets! Beat your brother! Harry Jones – good chance of top 10. Like DJ says, Harry Jones should have a good shot in top 10. Hawks has my vote for the men’s side of things! Excited to see how things play out! Thanks for the coverage! Update: Vlad Ixel won’t be racing. Yes I second and third Harry Jones..seems he has flown under the radar on this one. Swiss Mike Aigroz might be another interesting entry in the “Still More Fast Men to Watch” list. He retired from professional triathlon last year and seems to caught the trail running bug even while he was racing long distance triathlons. He is competitive and a strong runner. Lets see how his skill set transfers. Let’s go Hayden! Judging by his Strava workouts, he’s still working really hard but hasn’t done quite as much in the last few months as he did when he overworked his body leading up to 2017 IAU Worlds.